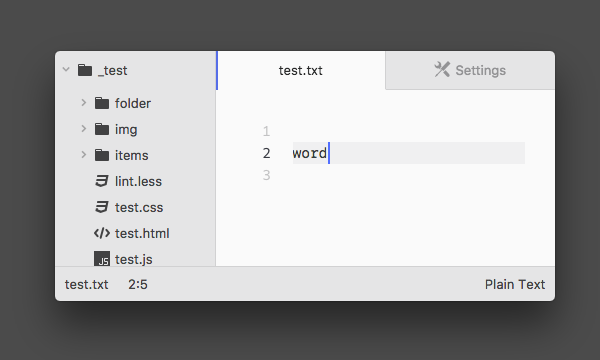 Today’s Atom 1.16 release comes with two more macOS title bar options, a push to remove jQuery and other improvements. On macOS you can now choose between two more title bar options (Settings > Core Settings > Title Bar). Option 1: custom-inset adds a bit more padding around the “traffic lights”. This might not seem that useful on first glance, but the “traffic lights” will look more aligned when combined with something that needs more height. For example when the title bar gets replaced with a tool bar. Option 2: hidden completely removes the title bar for people that like things minimalistic or want to save an extra 22 pixels. To drag the window the status bar can be used. Note that by enabling these options some functionality will be lost. Especially when the title bar is hidden managing the window needs to be done with keyboard shortcuts or using the menu. We’ve improved the performance of displaying project search results by only rendering visible DOM nodes. You can also check out this tree-view PR for an example of converting a panel to a dock item. One major thing worth noting is that panes and items within docks are now included in various global workspace methods such as getActivePaneItem, observeActivePane, etc. If you want to limit your scope to just the center of the workspace as was the case before docks existed, you’ll need to interact with the new WorkspaceCenter class, available via atom.workspace.getCenter(). We’ve dramatically reduced window load times by using V8 custom startup snapshots to shift work that was happening on window startup to happen during Atom’s build instead. We’ll have an in-depth post on this next week. 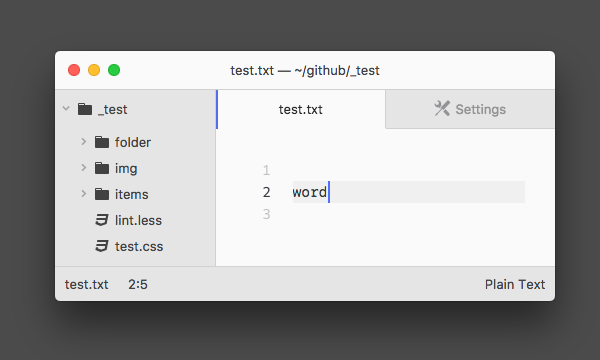 Fix for middle-mouse-button paste on Linux thanks to @dietmar for fixing a long-standing issue!